How to raise backyard ducks for eggs and fun. I’ve been raising backyard chickens for about 10 years. But now many of my friends are adding ducks to their backyard livestock. It is as if backyard ducks have become the new backyard chicken. I’ve been curious about raising ducks and know many of you are too. 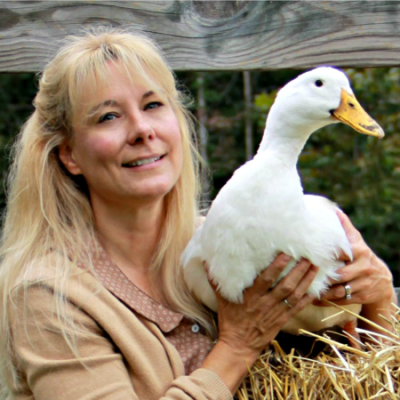 So I decided to bring on an expert to share the whole scoop on what it really means to raise backyard ducks. In this episode, I interview author Lisa Steele of Fresh Eggs Daily. And if after listening you think you might want to add ducks to your backyard, I’ve put together a free PDF download for you. It’s a tip sheet on raising ducks and you can download it below. 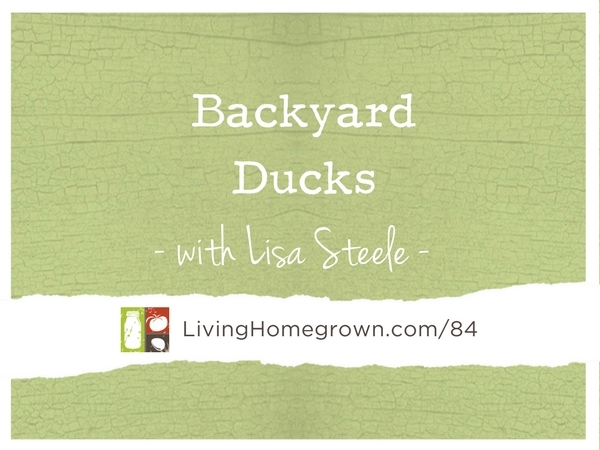 Lisa is a blogger and author who knows a thing or two about raising ducks. She is a 5th generation chicken keeper who fell in love with ducks back in 2009. And she’s been keeping ducks along with her chickens ever since. She was living in Virginia, but just recently relocated to a farm in Maine. Lisa engages fans worldwide with her easy, fun and accessible approach to raising backyard flocks naturally. She has an award winning blog, Fresh Eggs Daily, and a very popular Facebook page by the same name and numerous books (all listed below). If you would like to have the bonus Raising Ducks Tip Sheet mentioned in the episode, click the button below for the free download.